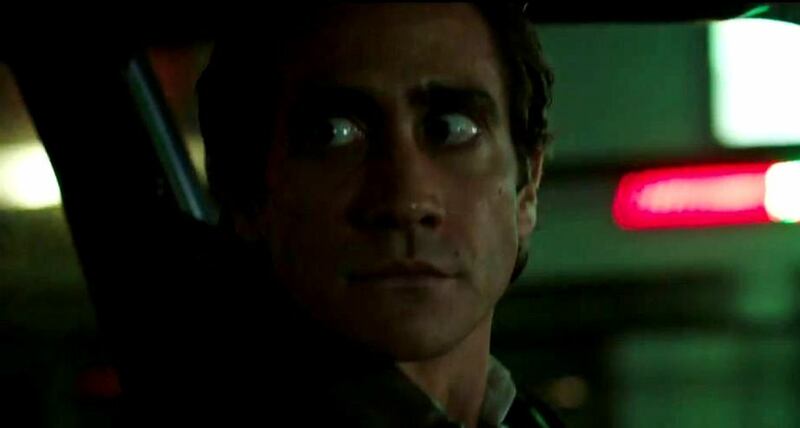 NIGHTCRAWLER won’t exactly restore your faith in our hell-bound humanity, but it has the Repellent Fascination Factor going for it, sort of like watching pissed-off hornets from behind safety glass. 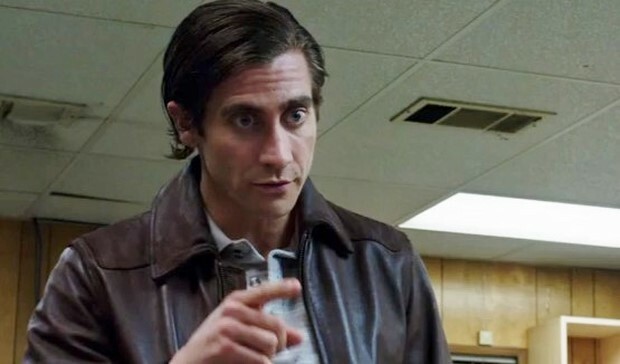 Jake Gylenhaal delivers a fully bravura Creep performance as a dogged sociopath loser who is shrewd enough to recognize an opening for his particular brand of poison in the ‘market’ that is live-TV media ‘journalism’. 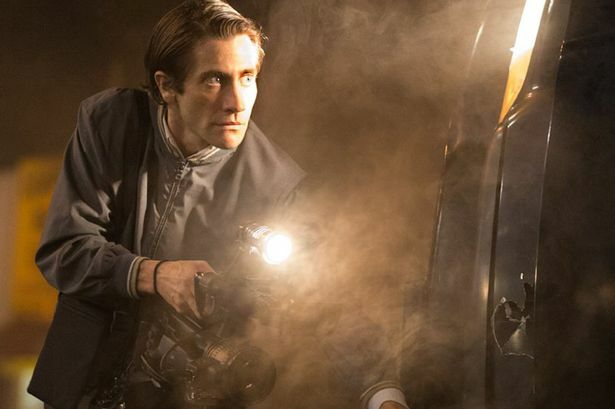 Coursing through the underbelly of night-time Los Angeles, Gyllenhaal’s huckster slithers his way into pay-for-play blood lust by beating competitors to crime and accident scenes and recording the most horrific visuals he can poke his camera into. An equally morals-free station manager becomes his viaduct to glory. She’s played to the hilt by Rene Russo: still hot as hell, burning with the unfazed certainty of the ethically bankrupt. Written and directed by Dan Gilroy, it’s a relentless assault on the fraud that makes up so much of ‘nightly news’ nowadays, including spot-on send-ups of the absolute phoniness of the talking heads you flip-off on every Channel 6, 8 or 12 from Honolulu to Atlantic City. It’s Network meets Taxi Driver, a hiphop era DNA relative to Faye Dunaway and Robert De Niro in those We-are-Haywire classics. Dropping twenty pounds to better appear sallow, almost vampiric, Gyllenhall is mesmerizing, nervously funny, dangerous-smart, indefatigably avaricious, a scavenging coyote—-looks like time to gear up for a Senate campaign. Great support from Riz Ahmed, Bill Paxton and Ann Cusack, a solid score from James Newton Howard, while that sleek camera is courtesy of Robert Elswit. The lensing and editing are so good you can almost smell the atmosphere—twilight L.A.’s strangely seductive blend of desert bake, beach breeze and smog. Released in 2014, pulsing at 117 minutes, drawing an Oscar nomination for its script—and a curious omission of Gylenhaal from the actor line-up. Strong reviews, with a five-fold return on its modest $8,500,000 cost. Caustic alert: after watching you might want to return to Charming or Bedford Falls via Oklahoma or Driving Miss Daisy.